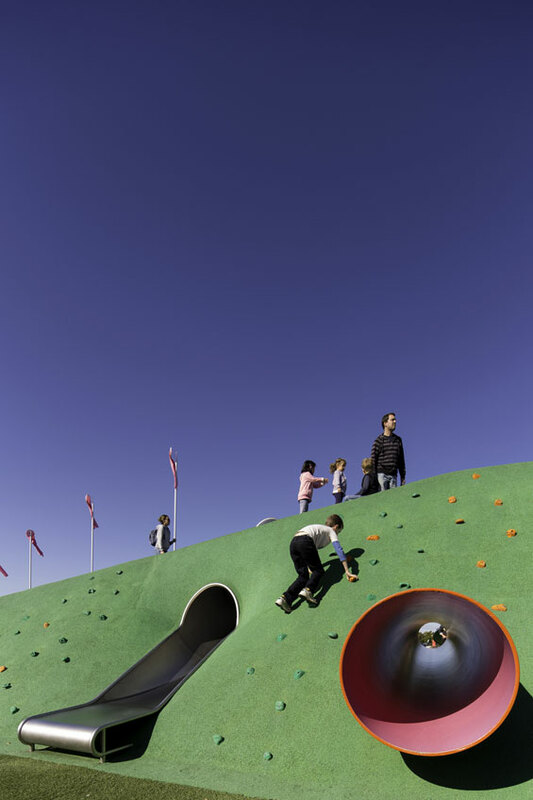 In early June 2012 JMDdesign’s latest project, Blaxland Common Regional Playspace was officially opened. 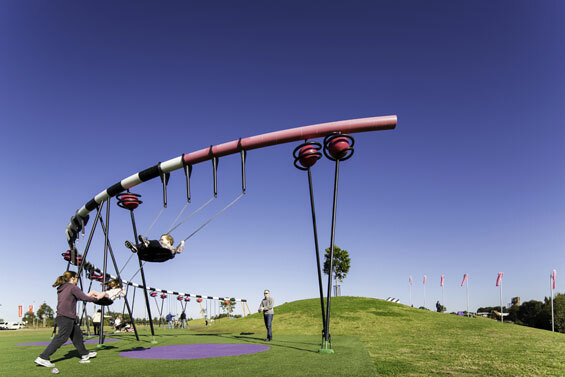 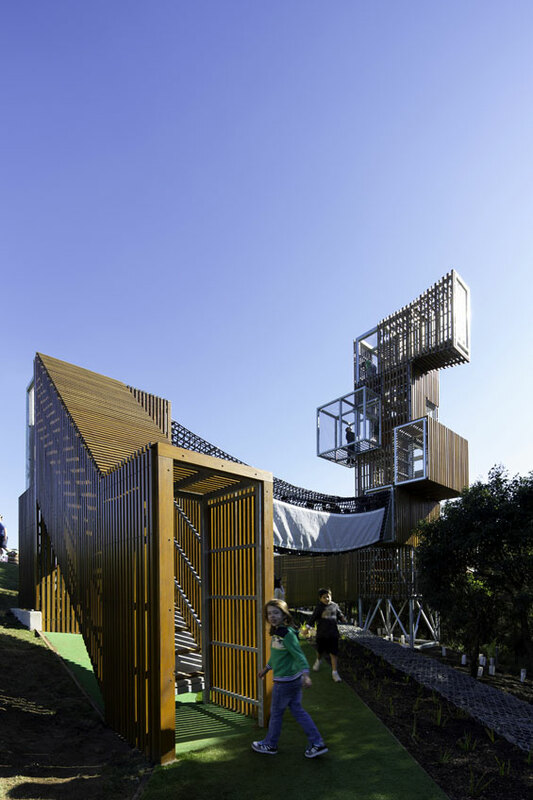 The new regional scale playground and associated kiosk, amenities block and car park were commissioned to expand the recreational opportunities of the Hargreaves and Associates masterplan designed for Blaxland Riverside Park. 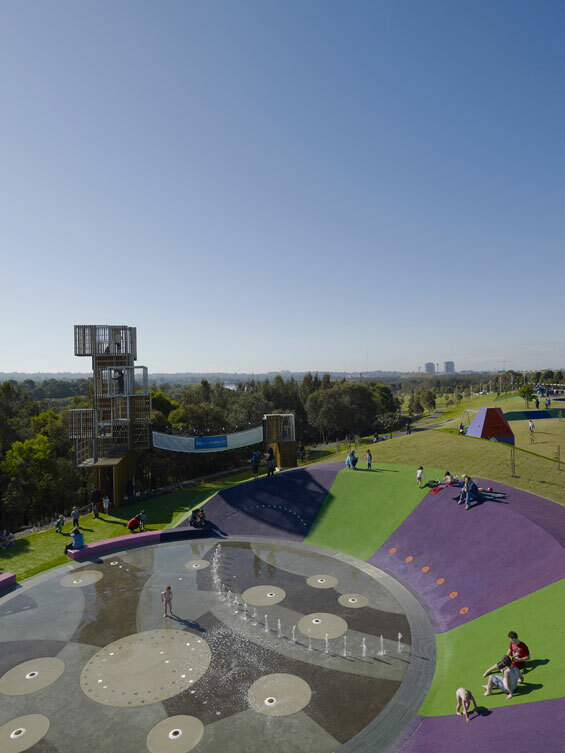 The park is one of a number of parks that make up Sydney Olympic Parklands. 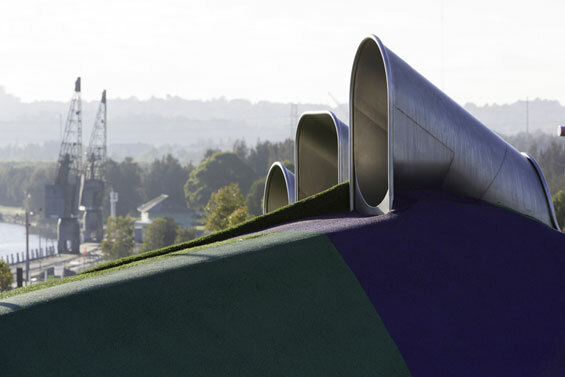 JMDdesign conflated the dominant earthforms of cones, cuts and terraces, established by Hargreaves and Associates to design a distinctive new project that maintains a dialogue with its context. 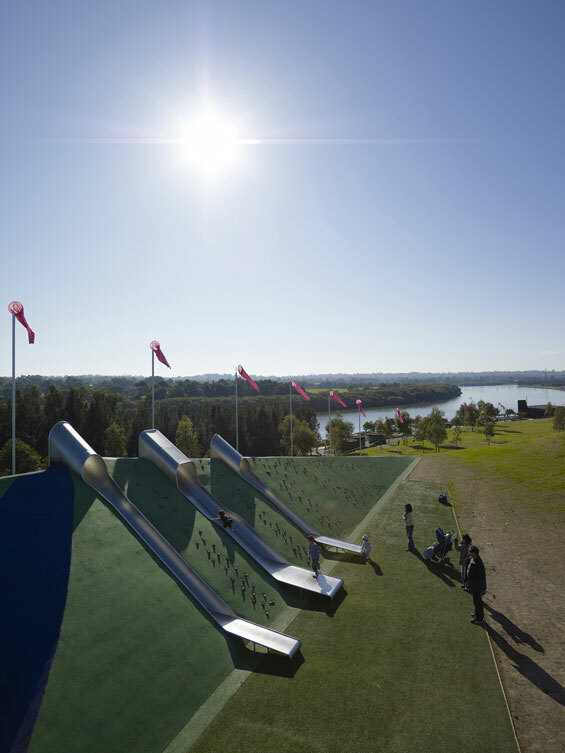 A 200m long 3m high earth berm with conical voids and angular slices is the armature for play. 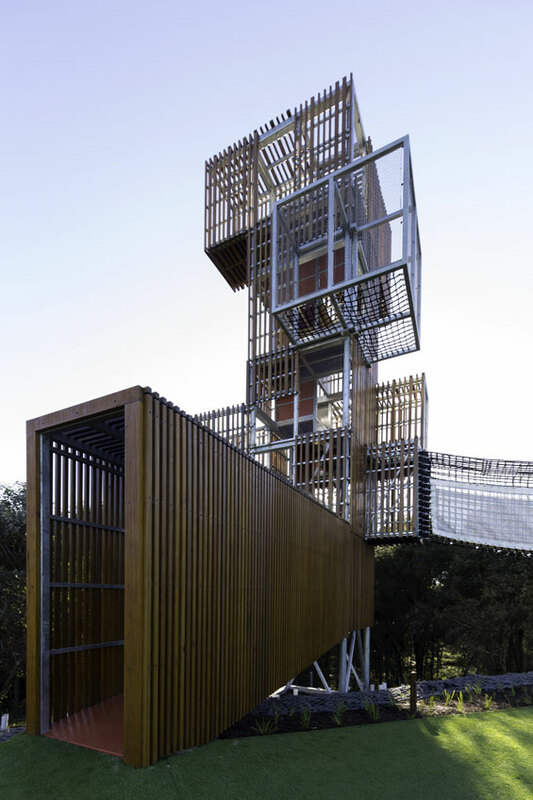 It runs parallel to the existing 3 terraces and inverts the language of the existing conical fig mounds. 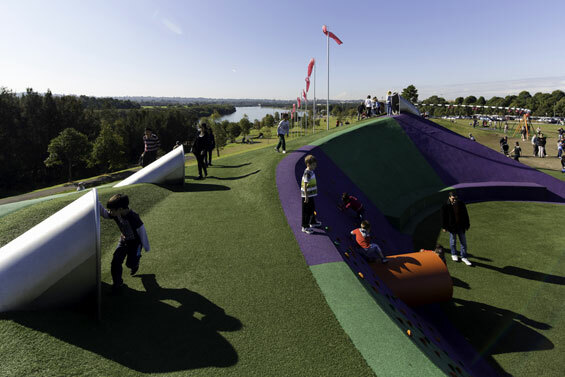 Custom designed and proprietary items are built into and around the dominant earthform and include; a double flying fox, tunnel slides, ground mounted slides, a giant swing, climbing walls, tunnels, a suspended climbing net, a 12m high tree house, a sand pit and a water plaza with 170 jets. 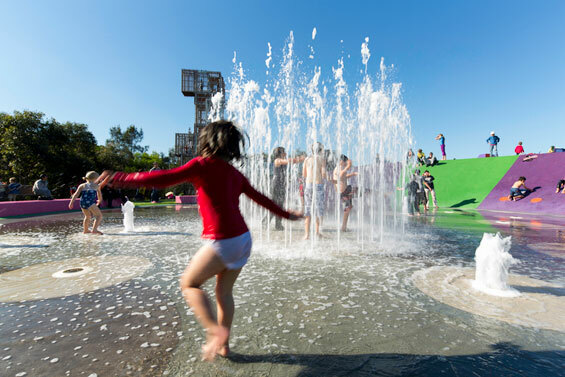 Play is organized to create a constant flow of play for children with the most active and high energy elements located at the eastern area of the playground and the more passive play at the western edge of the berm where the sand play and water plaza are located. 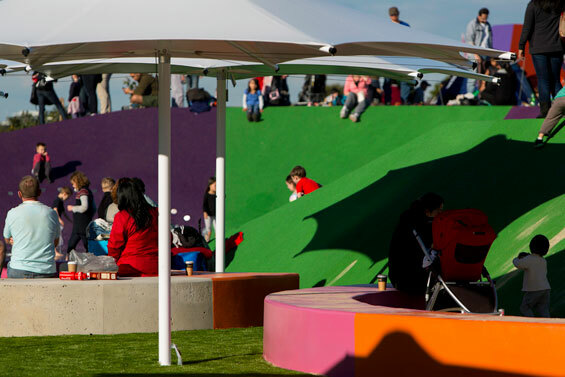 The Tonkin Zulaikha Greer (TZG) designed kiosk and petal roof canopy are located overlooking the water and sand play. 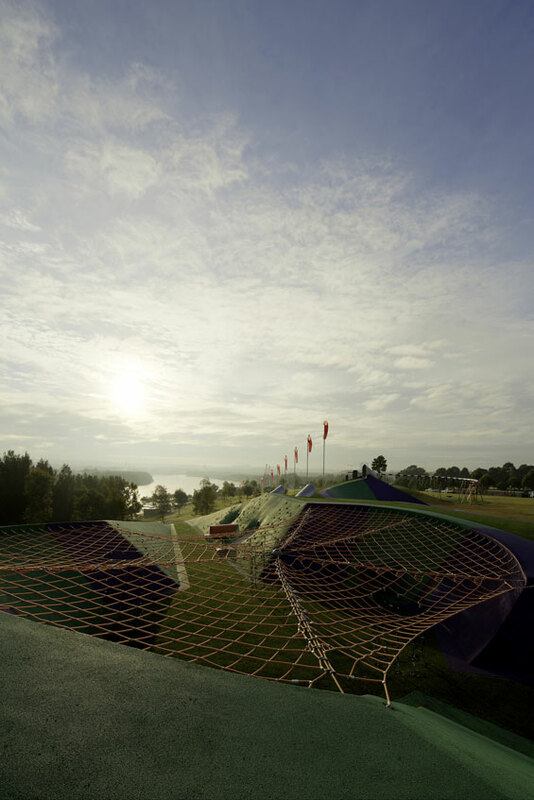 The new carpark and amenities building are located along the southern edge of the park, on the far side of the large grass common. 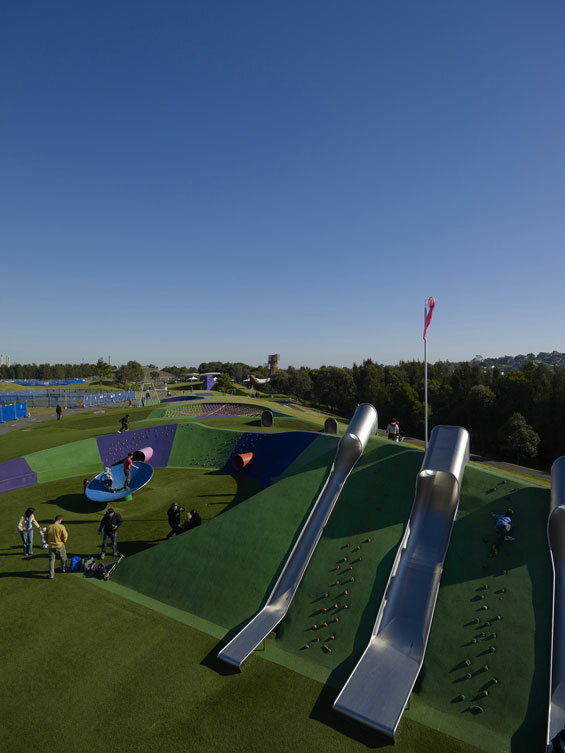 These are connected to the new kiosk and playspace by a newly constructed axial path as called up in the Hargreaves masterplan. 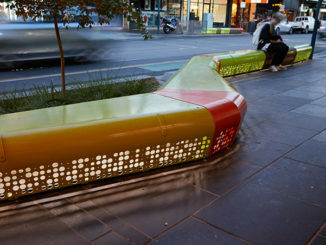 James Mather Delaney design – Ingrid Mather, Anton James, Kathryn Stewart, Don Kirkegard & Nick Brown.